BIRTHDAY GIVEAWAY- read below for entry instructions 🔥Also see my latest blog post where I review some of the @myskincarecoterie goodies - LINK IN BIO. Step up your skincare game by incorporating these 3 face products. Why? -cruelty free approved -free of parabens and other toxins . 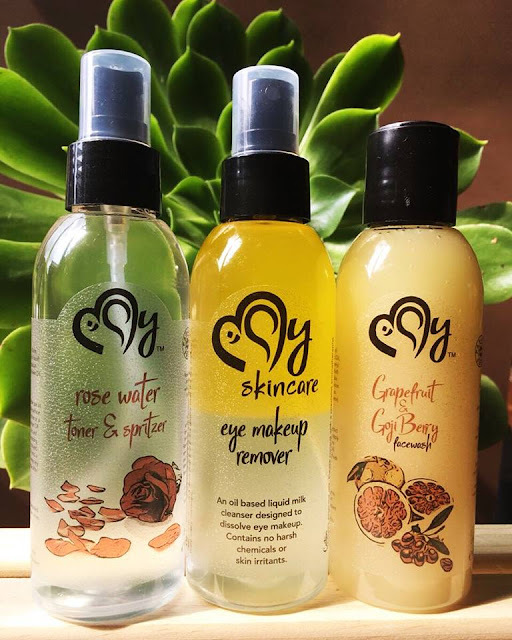 I have completely fallen in love with this brand. .
4) Extra entries: mention in one word what makes this brand, @myskincarecoterie so unique!